Howdy y'all - Happy Daylight Saving Time. If you are out of sorts, losing an hour of sleep and are wondering what to do today - come by and say 'Hi!'. 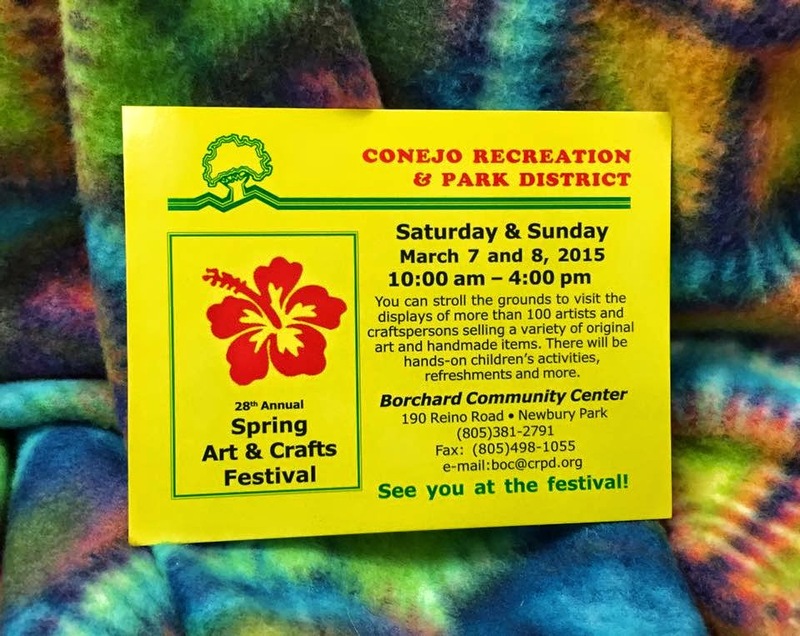 Come see me and 100's of hand-crafted vendors. Amazing Woodworking, painting, photographs, beaded trees, eggs, hand-sewn pot-holders, hair bows, fairy wings and ME!! This is the Annual Borchard Park Craft Fair - with food trucks, kid's area and ME - lol. Come, grab some grub (there is a BBQ Food Truck today - lol) and show me some love!